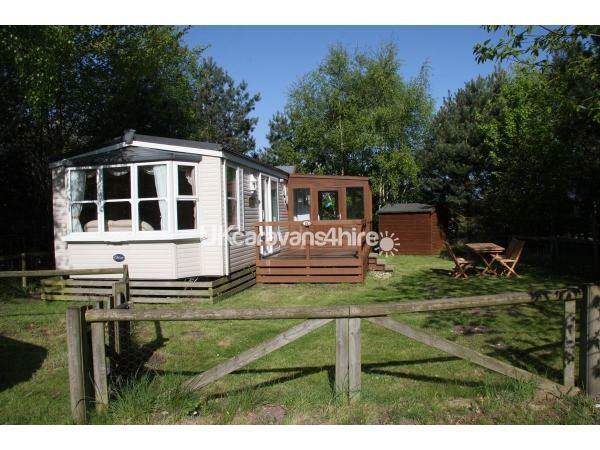 This holiday home is set in a quiet, sunny spot on the outskirts of the site, but only 5 minutes walk from the centre. There are 2 bedrooms, the main with a double bed and the other with twin beds which could be pulled together to form a double. 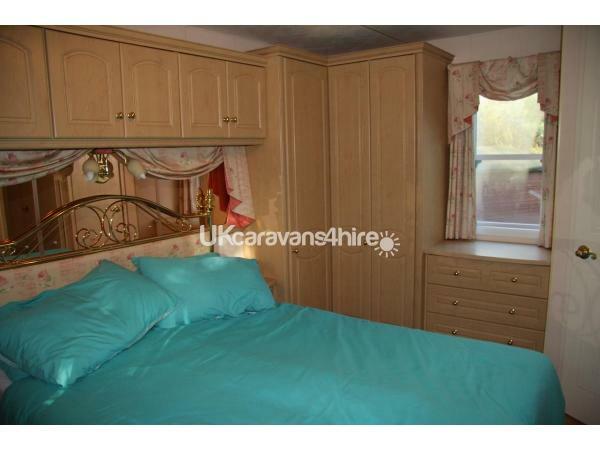 Both bedrooms have plenty of storage and hanging space. 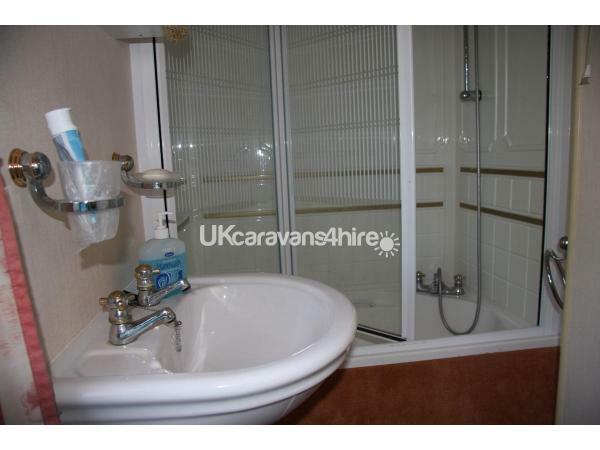 The bathroom has a bath with shower over and is Jack and Jill style with access from the main bedroom and the hallway. There is also a separate toilet and washbasin off the hallway. 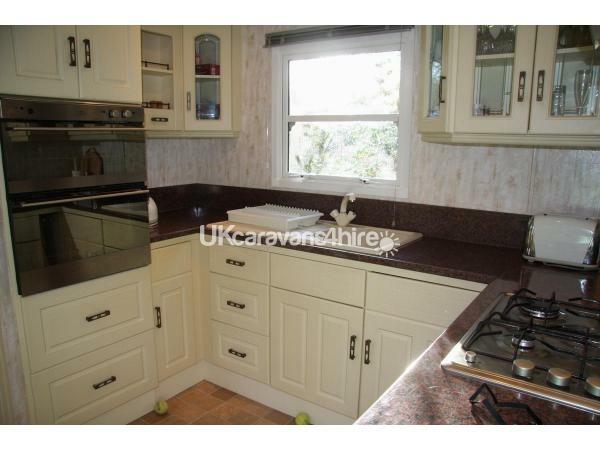 The kitchen is well equipped with gas hob and oven, fridge freezer, microwave, toaster and kettle and plenty of storage space. Complimentary tea, coffee, sugar and salt and pepper is provided. 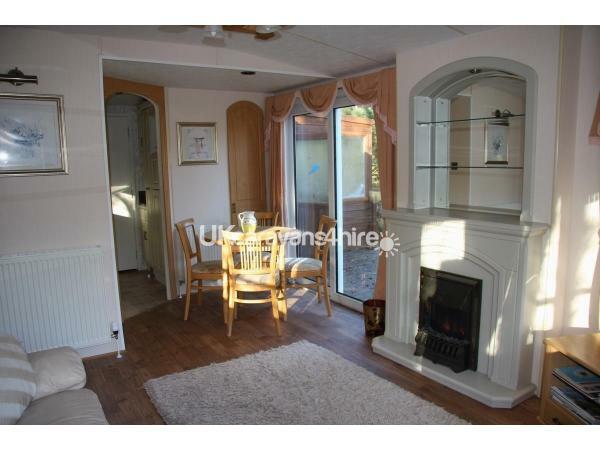 The lounge area has patio doors onto the veranda and a table with 4 chairs. There is an electric fire and a television with freesat and a built in DVD player. Indoor and outdoor games, jigsaws, a range of DVDs and a selection of books are provided for your enjoyment. There is a very useful porch for storing bikes, outdoor shoes, coats, etc. Outside there is a table and 4 chairs and a parking area. Kelling Heath Site is set in 300 acres of woodland and heathland. The North Norfolk Railway, the Poppy Line, runs between Sheringham and Holt and stops on the edge of the site. There is a pub/restaurant, takeaway and shop in the village centre and plenty of seating. During the summer and school holidays there is often children's entertainment and evening entertainment around the bandstand. Facilities on the site include launderette, fitness centre with indoor pool, outdoor pool, tennis courts, table tennis and pétanque. There is a fitness trail and children's adventure playground and plenty of bike trails through the woods. There is a charge for some of the facilities, such as the fitness centre and tennis courts. The site is perfectly placed for exploring the North Norfolk coast and there is plenty to do and see in the area. 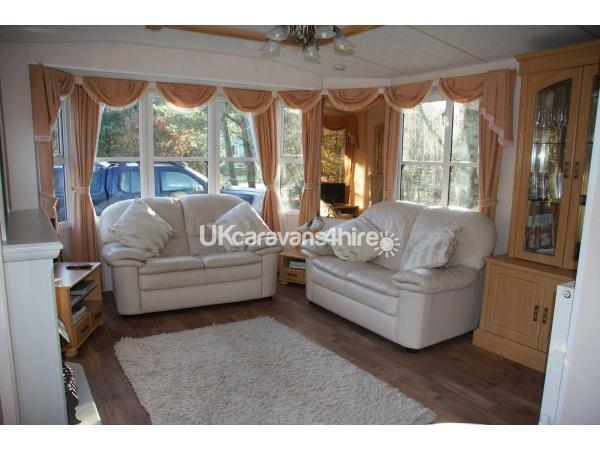 We have stayed at Kelling Heath numerous times on different plots, and this was a lovely caravan in a brilliant location. It was in a sunny spot getting lots of sun, which meant we could use the outside space in comfort, yet still being surrounded by trees making it feel private. The caravan was very well equipped, had everything that we needed. 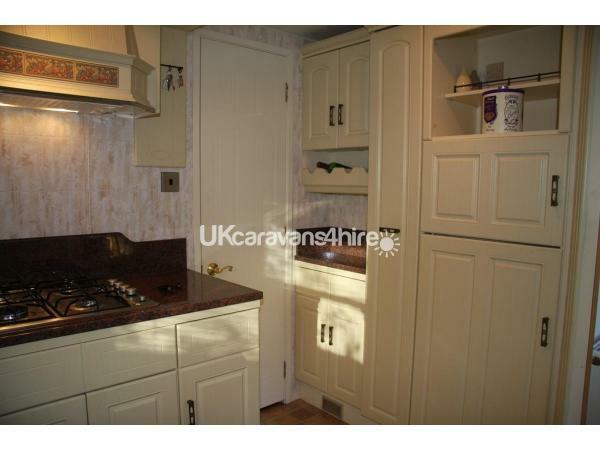 It is set in a very quiet and peaceful area and is a short walk to the centre. We hope to go back next year ???? We have just returned from a truly fabulous fortnight at plot 476. We have been comIng to Kelling Heath for more years than I can remember. The combination of Plot location (sunshine, privacy & Wildlife!) 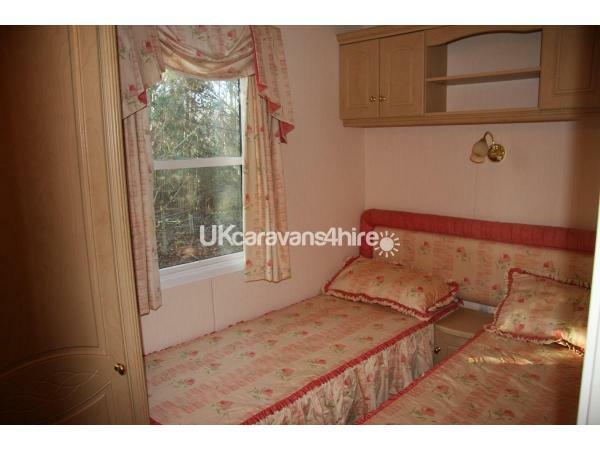 and caravan facilities, comfort and layout make this our favourite so far. Definitely a home from home. The sliding doors from the living area to the seating area on the decking make it “flow” and felt like we had an extra room! Breakfast outside in the sunshine everyday, just perfect. We would definitely love to go back!